There’s been an enforced substitution this week at Footy Boots HQ. Regular 5 star columnist Andy Kay is camping in Britain on a luxury cruise around the Caribbean, which has left a bunch of bumbling Boot Geeks in lab coats to pen today’s column. Be gentle on them, bright lights, crowded places and raised voices effects their mental health! 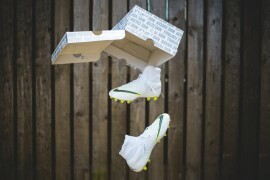 Hugo Radallega celebrates in his Citron Vapors. 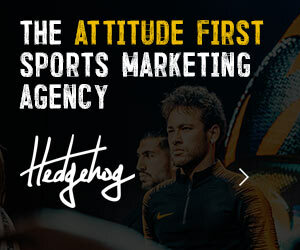 Earlier this week we reported that following his wonder strike against Aston Villa, Wigan’s Hugo Rodallega may stick with his dated Vapor IV Citron football boots. 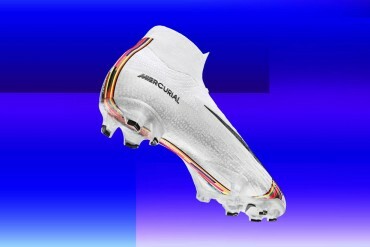 Ribbed the day before the game by Mario Melchiot, Rodallega ditched his original choice of football boot, the Vapor Berry, for the Vapor IV Citron.
' The boys gave him a bit of stick and you have to be a confident character to wear that colour. He has a lime pair and a pink pair. 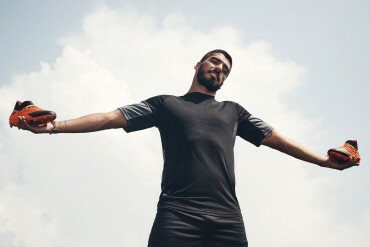 He wore the first set at Villa. 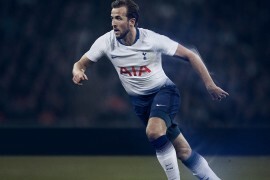 The lads don’t want to see him play in any other colour now. 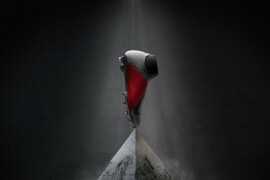 How do you find out what new football boots are on the horizon? 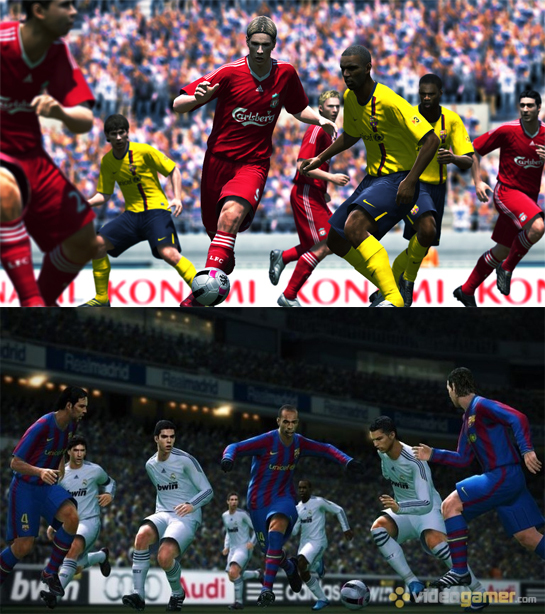 You check out the screenshot releases of PES 2010 of course. 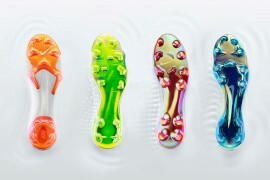 We spotted three new models/boots not yet released. Thanks to Mike V. for sending this in. Fashion designers often have a penchant for creating unusual items at exorbitant prices. Unfortunately football boots have been unable to stay under the radar of fashion designer interference, take these for example. 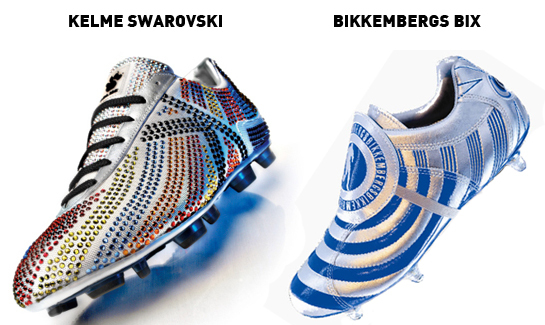 Kelme’s Swarovski crystal encrusted football boot and fashion designer Dirk Bikkembergs Bix. 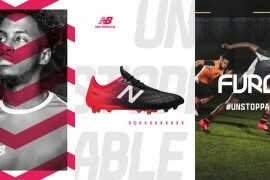 We thought another specimen had been rolled off the catwalk this week when mention of a Louis Vuitton football boot was mentioned at Footy Boots HQ this week. But fear not, Louis is not expecting Beckham to kit out in his latest creation, in fact it’s more likely to be Posh. 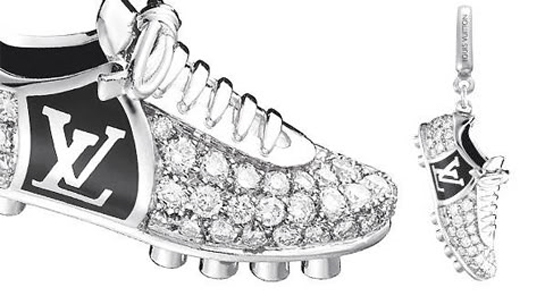 18 carat white gold and eighty six diamonds on Louis Vuitton’s football boot. Louis Vuitton has designed a charm which can be worn as a pendant or attached to a charm bracelet. It’s very glitzy and expensive, at £10,000 it’s the ultimate WAG tag! It rather puts OhKay! columnist Andy Kay’s England cygnet ring to shame…. 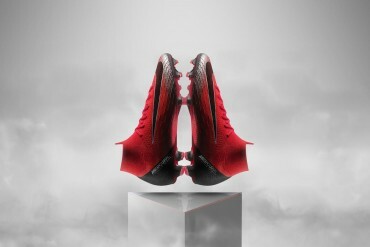 Thats Ronaldo wearing new blue superfly on the pes picture. 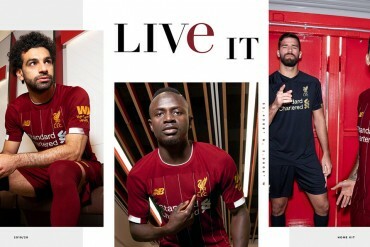 Shame Rodagella didn’t stick with the Berry Vapors, would have looked much better. 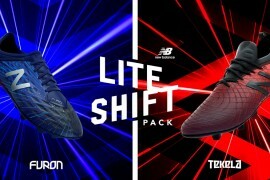 just coz pes has different coloured boots compared to the ones that are out, doesn’t mean they’ll be released, theyv’e done it before. The Vapor Vs are the only shoe on either of those pictures that hasn’t been released? That colorway is supposed to be released sometime next year along with the Yellow/Yellow/Black and White/Black/Pink colorways. ahahaahha rodallega was forced to wear citron and not the berrys. is messi wearing old f50.9? 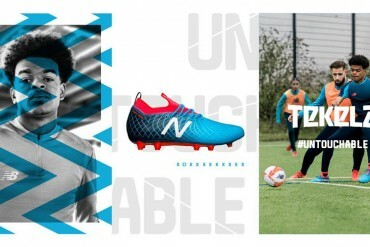 Adam – yeah Messi is wearing the old f50’s, he’s even wearing them in all the Promo shoots as well! Shame on Konami!